Wonderingmode is the second in the Expanding Boundaries’exhibition series, which the CoCA in Torun inaugurated in 2012 with the Fourth State of Water: From Micro to Macro show, consisting of a diverse set of events organized in collaboration with the California NanoSystems Institute and Art +Sci lab, UCLA, Los Angeles. After the project engaged in dialogues between art, science and environmental activism, CoCA is now launching a second one, dedicated to the intersections between visual and applied aspects of art, with special focus on the type of “fashion beyond clothes”. Wonderingmode is an exhibitive format of experimental kind that explores and presents cutting-edge research in the domains of art, design, fashion and architecture and their mutual crossovers. More than just an exhibition, this project is conceived as a series of events (in one or many sites), a sort of “exhibition in progress”, closely interlinking the space and the show, the container and the content. Wonderingmode is imagined as a visual journey through a variety of imaginary worlds created on the intersection of different domains of creativity and expressive languages. The work of Hussein Chalayan constitutes the point of departure of the project – as Chalayan is one of the contemporary designers who in very accurate and direct way relate to the theme which is the core of this exhibition: hybridisation of knowle and productive procedures as way towards innovation. Beside Chalaya, CoCA aims to present works of the most innovative and daring designers of the emerging generation: their creations can be described as true hybrids, able to transcend parameters of categorisation valid till now. Their works seem to question the differences between wearable and sculptural, synthetic and organic. Where is the border, if there should be one, between categories through which we search to classify and define different domains of creativity? Transdisciplinarity, the intersection and graft between different domains of knowledge and expression (like art, architecture, design, fashion, science and technological advancement) can serve as a prism through which can be observed larger social phenomena developing now, and even more in future. They correspond to cultural hybridisation and notion of transculturality. Questioning these processes can be task of art, but in some cases, also fashion can serve as a useful tool. In this sense the Wonderingmode exhibition will focus on some of the most interesting and innovative designers whose work transcends any conventional definition of fashion in favour of those creative processes that have as outcome much wider span of elements than just a garment. 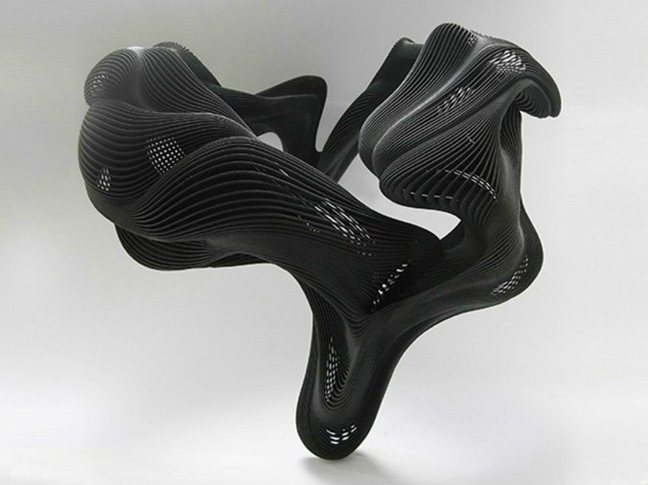 In certain cases these outcomes can be defined as hybrid objects that evolve and revolve around the body, in other they can be simply visualizations, concepts and processes which spread the notion of fashion in different directions, such as art, design, architecture and all other forms that comes out of the meeting between this disciplines. More than specific thematic and methodological line, this project desires to reflect the state of wondering, in the sense of search, probe and open-ended movement which is necessary for any form of creativity, as well as in the sense of fascination, amazement and awe that most daring creativity can provoke. Wonderingmode therefore should become a synonym for those fascinating creative procedures which allow us to envision or imagine the future. Bypassing all possible stylistic or conceptual differences, this project, through its most dynamic and interactive format, aims to present works which will turn-on the “wondering mode” i the viewer, too. Along with the exhibition CoCA organises a series of special events in the concomitance with the European Museums Night, featuring lectures, talks, presentations, workshops, screenings, hosting some of the authors and consultants, designers and curators.